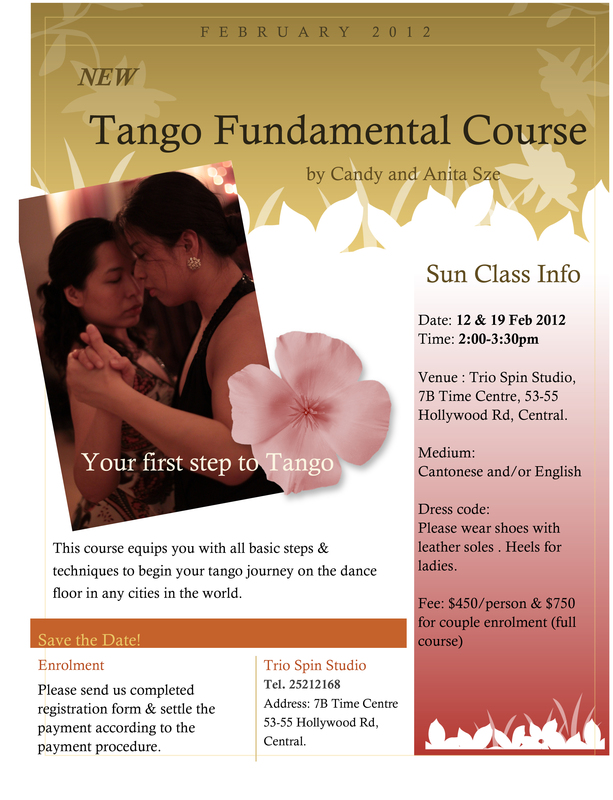 This course is suitable for someone who would like to start your first step to Tango. It is the 10th Anniversary of Trio Spin Studio in 2012. We are pleased to announce the return of Héctor & Silvina for our Tango Workshop and Grand Milonga, March 8 to 14, 2012. Héctor & Silvina have a unique understanding of the interaction between two partners. In unleashing the gentle yet enormous strength within the body, dancers seek to reveal the body’s natural movements and curves. Through the workshop, we hope to deepen the participants’ understanding of the fundamentals of Tango, and to guide them toward a better foundation for body coordination and interaction with their parnter. The Grand Milonga will be another highlight of our Trio Spin Studio 10th Anniversary events. Whether you are a Tango enthusiast or new to the dance, the evening promises to be one of exhilarating fun! Don’t miss the performance by our Tango Maestros! Be there to see a splendid showcase of the spontaneity, dynamic and wonder of Tango. Please follow our web site for news and “like” our workshop Facebook page for regular updates. Please click the poster to see the details of HyS workshop or click this web link http://www.triospintangoworkshop2012.wordpress.com ! Hasta luego!